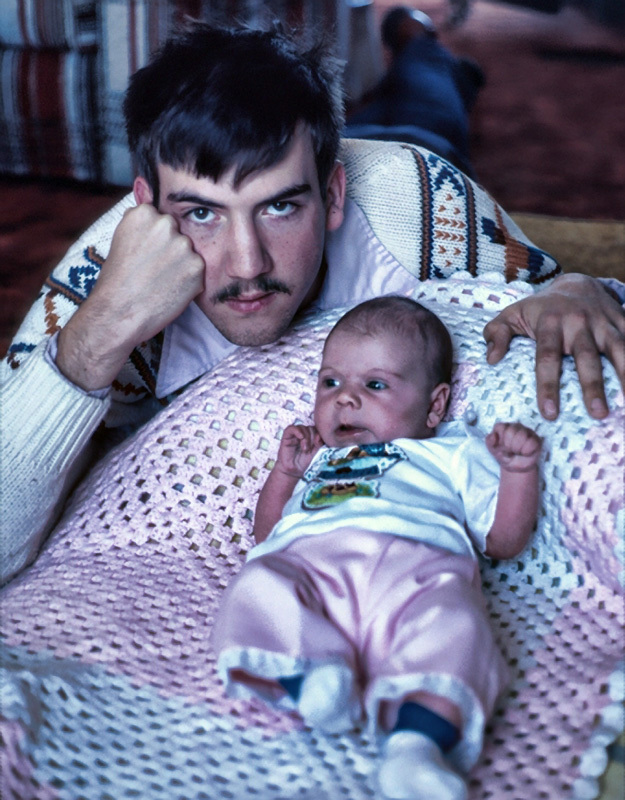 For a change of pace this Father’s Day, The Legal Genealogist celebrates the fathers of my generation: my brothers who are fathers. 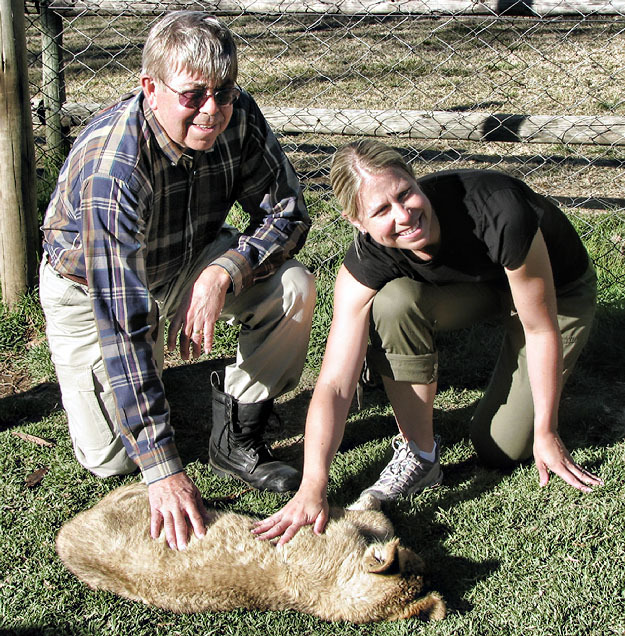 My older brother Evan and his daughter, my niece Gina, petting a lion cub in a refuge in South Africa. Gina, one of two children, changed Evan’s life this year by presenting him with his first grandson, Martin. Evan has always said he would never retire because he loves what he does (he’s a family physician). Within 36 hours of Martin’s birth, he told me he wanted to retire and take his grandson fishing. I told him he might want to wait until Martin learns to walk. 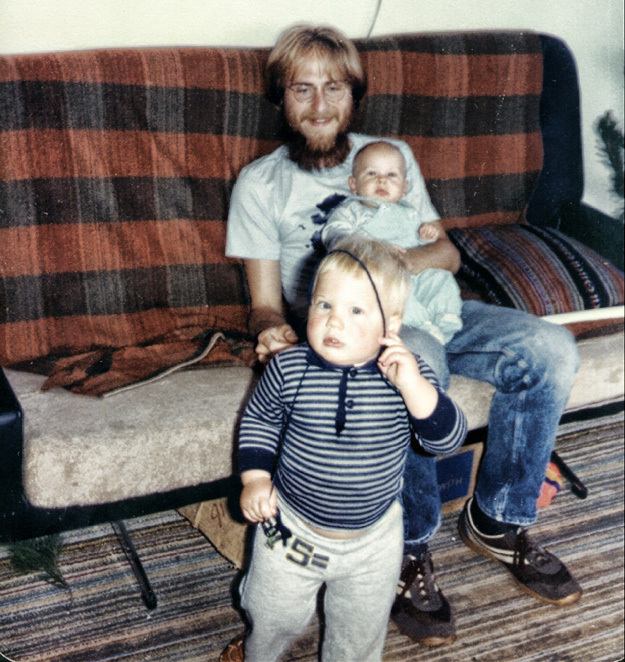 My younger brother Paul and his first two sons Rudi (foreground) and Max (on Paul’s lap). Son Stefan and daughter Katya (who just graduated with honors from Northern Arizona University) round out this family. 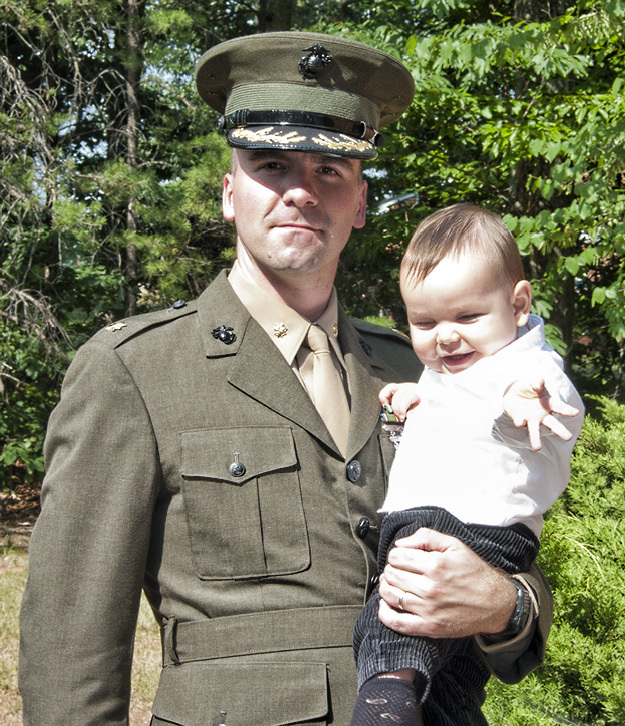 And my youngest brother Bill with his first-born, Dennis, who — like his younger brother Duncan — is my godson. In typical southern-family fashion, Bill’s two boys are the youngest of the cousins, 10 years younger than the next youngest in their generation, which we figure will probably confuse tomorrow’s genealogists. So much love in your family, Judy. You’re blessed. You are SO right about that, Celia. We have been so very fortunate in my family — and the folks you see here are a lot of the reason why (and how)! Judy, I certainly hope that someday I will get to meet the rest of your siblings! Of your brothers I’ve met Bill and Fred. You are blessed with a great family, all of whom seem to have each others’ backs—and you all really seem to like each other. Great tribute!! Happy Fathers’ Day to all of your family members who are fathers!!! Judy, do you have a cleft chin? I notice it on the last 2 photos of your brothers. I would love to know the DNA behind that. Catherine, I don’t, and only my baby brother still shows his today. And wouldn’t it be neat to know exactly what line it came down to him from? Four brothers! How lucky you are. And all dads, which is wonderful. So many nephews and nieces to visit and play with. Your brothers look so different from each other. I actually have five brothers — my fifth brother is a stepfather, but I didn’t have any photos to use!